Find out why Microsoft Azure helps you to quickly develop and deploy new applications without financial risks. Agility is everything. To keep up with ever-changing customer demands, disruption and fierce competition, you want to invent, develop and deploy new ideas quickly and efficiently. If you want to explore new business models, build new applications, make them mobile or integrate with partners, choosing the right platform is crucial. During this webinar, we want to share our rich experience in building and supporting future-proof platforms. Watch the recording below. Steef-Jan is Azure Technology Consultant at Codit Netherlands and has been working in ICT with integration, services and the cloud for more than 15 years. 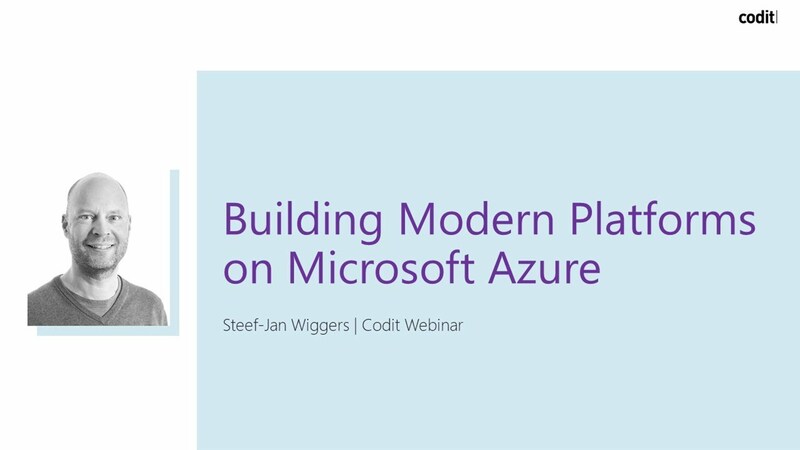 Steef-Jan is also an eight times Microsoft MVP for Azure. He is often featured as a public speaker, has authored several books on application integration and is cloud editor at InfoQ.